Gas prices in Northern West Virginia dipped six cents this week to $2.699 per gallon according to AAA East Central’s Gas Price Report. November continues to bring gas price averages under $3 for every state in the Mid-Atlantic and Northeast region. Connecticut ($2.92), New York ($2.91), Washington, D.C. ($2.88) and Pennsylvania ($2.88) have the most expensive averages. Despite refinery utilization down two percent to 74.5, the Energy Information Administration (EIA) reports that gasoline stocks remain relatively stable at 64 million barrels. Overall, stocks are at a 12 million year-over-year surplus. State gas price averages are as much as 12-cents to a nickel cheaper a gallon on the week in more than two-thirds of the country. As demand drops and the end of refinery maintenance season wraps-up, the national gas price average is $2.70. That price is six cents less than last Monday, 21-cents less than last month and just 14-cents more than last year. In fact, the year-over-year price differential has not been this small since early January. 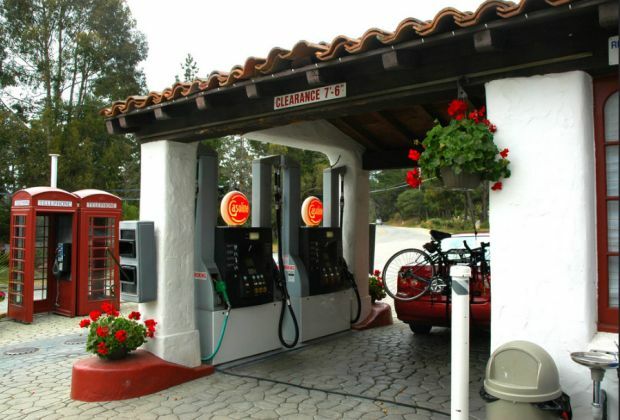 Today, 41 percent of gas stations nationwide are selling unleaded gasoline for $2.50 or less. In comparison, the majority of gas stations were selling gas for $2.51 or more at the start of summer during the Memorial Day holiday weekend. At the close of Friday’s formal trading session on the NYMEX, West Texas Intermediate decreased 48 cents to settle at $60.19. Oil prices drifted lower this week, following the release of EIA’s report that total domestic oil inventories grew by 5.8 million barrels last week. They now sit at 431.8 million barrels, which is 25.3 million barrels less than inventories last year at this time. Crude inventories have grown for seven consecutive weeks because of reduced refinery runs while the nation settles into the lower demand fall driving season. A new all-time high estimate in domestic crude production since EIA began publishing the data – 11.6 million b/d – also contributed to last week’s build in crude inventories. Moving into this week, crude prices may drop further if supply concerns remain reduced due to continued growth in inventories. Motorists can find current gas prices nationwide, statewide, and countywide at GasPrices.AAA.com. AAA East Central is a not-for-profit association with 80 local offices in Kentucky, New York, Ohio, Pennsylvania and West Virginia serving 2.7 million members. News releases are available at news.eastcentral.aaa.com. Follow us on Twitter and Facebook.